Music is everywhere today. It is in cars, grocery stores, doctor offices, restaurants, and many more places. music is also used to express emotion, tell a story, or start revolutions. However, many also believe it to be true that music can make people smarter. This is a misunderstanding caused by something called the Mozart Effect. This misunderstanding was caused when a study had college students listen to Mozart while studying and got higher scores. This led people to believe that music must make you smarter. That is not the case as The Mozart Effect is simply a brief enhancement of spatial-temporal abilities in college students after listening to a Mozart piano sonata says a blog on listening to music while studying. 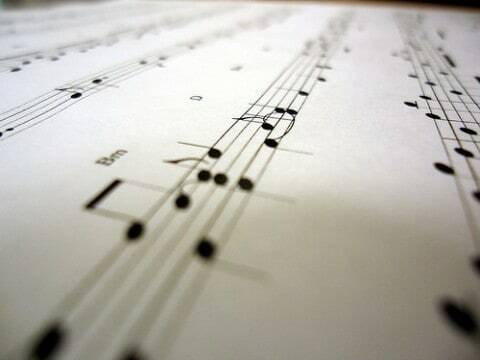 Music may help people with studying, however, music may also be distracting them. This idea really depends on the person. One person may need music to even start thinking about getting to work, while another gets too easily distracted to even have it quietly in the background. The before mentioned blog made a very interesting point about the effects of music on the brain. The blog stated that the original study really only found results about ten to fifteen minutes after the initial hearing and no other studies where able to find results. They also said that a reason why listening to background music may be beneficial is because of the arousal-emotional/mood-activation hypothesis which is the idea that since music puts you in a good mood, it can have a positive effect on the performance. Another article stated that most people received the most brain activity between or after intense musical movements. This is followed by the fact that another study found that music makes active the areas of the brain that are involved with making predictions, paying attention and committing details to memory. Elana Goodwin wrote an article that stated that listening to music before studying or performing a task can be beneficial as it improves attention, memory, and even your ability to do mental math. One thing to keep in mind while studying and listening to music is the fact that listening to fast, loud background music can hinder reading comprehension because it can divide one’s attention between the subject and the words of the song. An article in the USA Today says that music is much better than social media when it comes to focusing. The article also said that people can customize a music playlist just for them, making sure that it is music based on the subject they are trying to learn and on their mood. A lot of people recommend listening to music the doesn’t have words when focusing on reading, however, when you are doing subjects that don’t take a lot reading it is up to preferences more than anything. It is especially important to not have words in music when memorizing things in order because they can throw people off and lead them to getting confused by the various things going on in the background such as notes and words. The fact that it can be bad for memorizing could be considered a negative if the person has a hard time keeping attention anyway, but is really all up to your own personal preferences. The Mozart Effect has created quite the misunderstanding in the world of studying with music because of the belief that it will make you smarter. There are both pluses and negatives to listening to music while studying. The most important thing to remember is that it differs from person to person, so really the best way to find if it helps is to give it a try. The Misunderstanding of Mozart by Sara is licensed under a Creative Commons Attribution-ShareAlike 4.0 International License. I am happy with your post, “The Misunderstanding of Mozart,” because your post tells me why people think that music helps them and it makes it more clear for me on how music can help and affect someone. You also helped me understand why people would think that music will help better think something. One sentence you wrote that stands out for me is, “This misunderstanding was caused when a study had college students listen to Mozart while studying and got higher scores. This led people to believe that music must make you smarter. That is not the case as The Mozart Effect is simply a brief enhancement of spatial-temporal abilities in college students after listening to a Mozart piano sonata…” I think this is really important because it helps show how many people would think that music can help them get a better score. However this is not true and is only the effect of the Mozart Effect. Another sentence that I got interested in was: “This idea really depends on the person. One person may need music to even start thinking about getting to work, while another gets too easily distracted to even have it quietly in the background. .” This stood out for me because in this sentence you talk about how music can help people or effect them. It also talks about how it depends on the person listening to the music. Your post reminds me of something that happened to me. One time I was listening to music and it actually helped me think a lot better and makes me more concentrated. Listening to music doesn’t distract me while I am studying. Thanks for your writing. I look forward to seeing what you write next because I want to see how music can also effect people in other ways and what music might do to people’s brains.